We’re only 3 days away from the launch of our newest feature, the EzineArticles Inbox. Quite possibly, I think we’ll be the first site of our kind to offer its members the ability to email each other, collaborate on various opportunities together, connecting authors & publishers together and creating the framework for an even bigger project we have planned for later this year. The service will be integrated within your membership account and the idea is to improve communication between our members and ourselves first. It happens daily that a member will ask the same question over and over again because they didn’t receive our reply for whatever reason or we’ll send messages that bounce back undeliverable. This new system will solve that. We built the entire system from scratch and you’ll be able to send emails to us and other members, view your sent emails, view your trash (auto dumps every 30 days), mark emails as spam (that will notify us to investigate), create a blocked list of people you don’t want to receive emails from, create your own contact address book and more. One large goal with this new system is to unlock the value trapped within our membership database. We can create significant economic value when we can help our members communicate with each other and this in turn makes us more valuable to our members (we hope). I’m pretty certain that we won’t give the ability to email externally to non-members as this tool is being created to fascilitate member to member and service provider (us) to member communications. 1) Should any member be allowed to send an email to another other member regardless as to if they are in your contact list? We have the blocked sender routine included and we have secret limits on the system to stop member-spammers from manually abusing the system, but the question came up if a person is not in your contact list — Should they be allowed to contact you? It’s a horse/cart problem because if a member doesn’t have another member in their contact list, then they would be shut out from all future contact possibilities. Should an author be required to add an author as a friend or become networked with them or be part of their favorite authors list before they accept emails or should we just let every author email any author and let the blocked sender list, anti-spam tools and author feedback guide this decision? I can’t say enough…this is the best site! P.S. I was thrilled when I got my E-Zine article mug! An e-mail inbox here at EzineArticles! What a wonderful idea!! This will encourage collaboration and networking amongst what I view as one of the single most professional and serious group of authors I’ve had the pleasure of reading. I would prefer to leave the door open to those members who would like to contact me or me contact them, that we have that option. Until we know each other we can’t add them to our contact lists. As far as filtering, I don’t think we want to exclude any potential opportunities. Maybe start by letting authors handle their own contact lists and approve those who request to be added. Then if down the road we find that more stringent controls are needed we go that route. Great job Chris and team! It amazes me how you constantly come up with all the good ideas that you do!! What an excellent innovation – once again I congratulate you. This facility will be incredibly useful. I would leave it that you can be contacted by anyone, but those who abuse the privilege (send spam) will be deleted. I’m seriously thinking that we should have a life “delete” button. Those people who annoy us we could just push a button and delete them from our lives. Not kill or wound them, just remove them from our circle of ‘friends’. I like the delete button – it’s my friend. So, as an author, how will this be an incentive for me to write articles in the hope that they drive traffic to MY website, and legitimate work inquiries into MY email inbox? My interpretation is that is purely an “internal” facility to allow fellow authors and eventually, publishers to make contact with each other more easily. I am at a loss to see how you will be commercially “disadvantaged” Or have I missed something? What Jonathan said is right. I didn’t want to paint the complete picture of how this tool will be leveraged until we can get it out, improve on it, and then move to the next stage of its intended use. We didn’t build it to help ghostwriters or copywriters even though it could be used that way eventually. One thing that blows me away is how much feedback we get daily that is intended for a particular author. I can envision a time in the future when we’ll be able to remove ourself from that ‘noise’ and connect the pipes up so that you get the end-user feedback directly without getting slam spammed to death. Pardon my abruptness, EzineArticles Team – I meant to say CONGRATULATIONS on graduating to another level of BIGNESS! You dwarf us all. There is a tendency to be very contextual about their associations with fellow members. Looking at this from the perspective of EzineArticles and their business goals, I see this as a win for them… because you know people are going to settle in here. You know that having an email inbox/messaging system is going to bring more logons, more activity, more TRAFFIC per day, and ultimately more GROWTH for them, on the web. So, that’s terrific, for them, and for web consultants looking for a home – who, maybe don’t have a website yet, aren’t professionally as “together” as they’d like to be, or perhaps it’s their time to forge alliances on the web. But what about the former benefit of having traffic filter out to our websites – the advantage of the clicking, and the activity, and the business opportunities and mental bonds/associations that develop IN OUR OWN inboxes? Maybe you can have a shutoff feature, for those who choose to keep their EzineArticles membership accounts inactive, or a redirect to someone’s website from the author contact area. Can you do that? Feel free to delete this post if it causes aggravation. Perhaps I feel too comfortable here, in that I think I can just spout off whatever I want? Maybe it isn’t right. Maybe I wouldn’t care for such questions on my own blog. Maybe I should just shut up until I actually SEE how this will all work out. So, pardon me. Maybe the reason why I’m spewing all this is because I’m shocked at the number of logins people keep handing me. It forces me to GO TO THEM when I want them to COME TO ME. Even with projects! What’s better – having someone email you, and see your email addy with your domain name in it, and your sig line, or logging onto THEIR server and being on THEIR territory. It’s like, well, there goes all the brand burning I’m trying for. It almost seems like, if you want people to look your way these days, you better have a LOGIN. I really love this idea, as Chris had to know I would. I don’t see abuses likely to be any more common than public comments on articles. I have enjoyed Email correspondence with only a handful of fellow authors from EzineArticles this past year and I was delighted with it. All have shared great regard for the other’s time and the trend is always, in my experience, to less frequent correspondence, which opens the door to new and fresh for those of us who do not consider a ten minute break an intrusion of privacy. My efforts to promote publisher – author communication here at EzineArticles was a dismal failure, with the possible exception of provoking the staff here into finding some way to encourage it. I have no difficulty at all in seeing the community building aspects of on site Email will work in many more applications than dedicated social networks and dating sites. This needs to happen universally and has my full and enthusiastic support. I am open to the free contact model with blocking options – or the open mailbox policy. I can relate as I don’t like getting job requests or author support requests via LinkedIN, MySpace, Ryze, etc. you name it. But, it does give them another way to find me and then I can convert them to an out-of-system email. Ok, as to the EMAIL ACCOUNT PREFERENCES, we will give our members tools to limit the ‘time sink hole’ that some may perceive this new tool as. The reason we don’t want to handle the end-user or publisher query and pass them directly to your website Dina is because it opens our systems up to easy abuse…and makes us guilty by association for the spam-transport. Lastly, why not use the AUTO PASSWORD save feature built into every majory browser? This would make logging in faster, no? I’m so understanding your concern, and feeling the issue. I too have that same problem with internal email communications. But, I believe part of the problem is the ‘comfort zone’ issue. When we bring people a comfortable zone, they may stay there (some definitely do) or they may spout wings from that position and fly on to better things. People in general have a tendency to become stuck in the familiar. (You and I both have a distinct attraction for the familiarity of the delete button.) Perhaps it’s our frustration with ‘in the box’ thinking that makes us step out and jump into dark space, just trusting that the net will appear. I’m thinking the open contact model where everyone is your ‘friend’ until proven otherwise would be most effective. I do believe a ‘signature’ option on the email feature would be beneficial, to refer everyone we communicate with to our websites. My personal opinion – again. I have to admit that the sheer technical nature of the dialogue within the last few posts has left me somewhat bewildered? Communication has to be the responsibilty of the “sender” and I am not receiving, sadly! From a purely personal perspective, this initiative is an excellent move forward – trust has to exist between EZ and we authors and I most certainly trust you. I think it’s a good idea and as regards your question, yes, any member should be able to send messages to another author..but with the caveat that you also put an “abuse” or “spam” button along with it so authors can inform EzineArticles of abuse. Sound good? Can I borrow your button for my Article site? I love it, not sure I’ll make it link – other than maybe to my articles and bio maybe? But, just as a marketing tool for your site??? Interesting concept to integrate the social networking idea here, perhaps as a late comer to the scene you can fix the problems that other social networks have encountered? Also sence there is already a sence of community and a 40,000 member head-start it ought to work fine, because everyone knows 3200 people and multiply this by 40K and well that is a huge number of course. Dina makes some good observations also, I believe all of her comments make sense and should be considered upon implementation. Not much I can add given the input so far, except to say that anything that will enable me to communicate with possible publishers is always a plus. You never know where that type of contact can lead, but just having the door open to the opportunity is a plus and for that I thank you! You may however have a huge increase in people becoming members. These people may then spam all of the other members for link exchanges. I suppose we could all report the spammers, Chris could then remove their membership. I think this is a great idea. I am new here and would really like some help with ideas. Plantinum members. This precludes those who would write one artcle and use that as access to spam everyone. This would be fairly simple to do, given that there are already safeties in place for platinum members. We assume members will abuse it, so we’re just going to watch the abuse and make security and rule changes based on user behavior. You’d be surprised how many ‘enemies of EzineArticles’ are also members in good standing with us. Keep your friends close…, etc. I’d vote for an open exchange among everyone. This is a top idea, but I can not wait that long. How would you like a link exchange with my site. I will add a link to your site on my homepage in exchange for a link on your homepage? 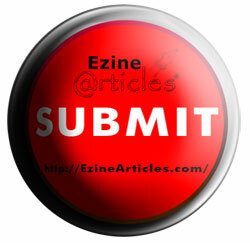 EzineArticles could become one huge link farm! As a policy, we have never exchanged links with anyone in the past and will never do it in the future. If you want a link or an unlimited number of one way links from us to your website(s), then submit more quality original articles and put your website in your resource box below your article. That’s the only way to get outbound links from us (other than commenting on this blog or in the forums). Other article directories have added ‘link directories’ within their sites, but I think that’s not a way to build credibilty or trust long-term. I’m not saying link swapping is bad, but it just doesn’t make a whole lot of sense to me. Link Swapping vs. Feasible links from comments and articles – sounds like a NEW Article Inspiration to me. I think submitting more articles to get links is a fair trade off… The more articles I submit, the more people publish my articles, and the more recognized I am on the Internet. I have just posted one at this time I am trying to do another one sorta on the same subject. I have not done much writing and I would like to be able to speak with someone or people and learn better how to do this. I myself would never scam but I do understand people do do that and either way is ok with me. I hope the new people like me could still have a chance of proving I don’t scam. I also know that just because I say I don’t doesn’t mean I am telling the truth. I just hope this works out for everyone. It was only a joke Chris, I never really believed you would go ahead. Just off topic if that is allowed. Has anyone noticed some strange results from msn/live recently? A couple of my main sites have dropped in the rankings in a big way but I am not sure as to why this is. I guess I’m just burnt out on receiving “link swap requests” that my defense shield raises in the mere thought of them. No probs. Any idea why EzineArticles is not a pr8 or pr9 yet? The amount of backward links and visitors the site has should make it a pr8 by now surely. I recently acquired an article directory myself and implemented the same features. Since I’m not the leader of the pack, not many people noticed, but I obviously like the idea. As for the question on e-mailing authors/publishers not a member of my network … I can see it both ways. I think if you put the proper measures in place that allow people to block unwanted e-mails or flag them as spam then that’s good. You want your good clients to feel safe and secure in knowing they aren’t being harassed so there has to be some element of control. Well …. this is a lively community. I find this to be the greatest article publishing site on the net and I hope we keep it that way. When one of my recent articles appeared on page one of Google within 3 days of publishing I was ecstatic. We all appreciate the continious effort to improve the site and add features that would increase value to both the site owners and users. The opportunity for us to offer our opinions on these new initiatives is also appreciated. Having seen all the comments I think we should look for ways to use this new tool and monitor the problem areas that have been identified. If percieved problems become real we can deal with them at that time. Great job Chris and team.